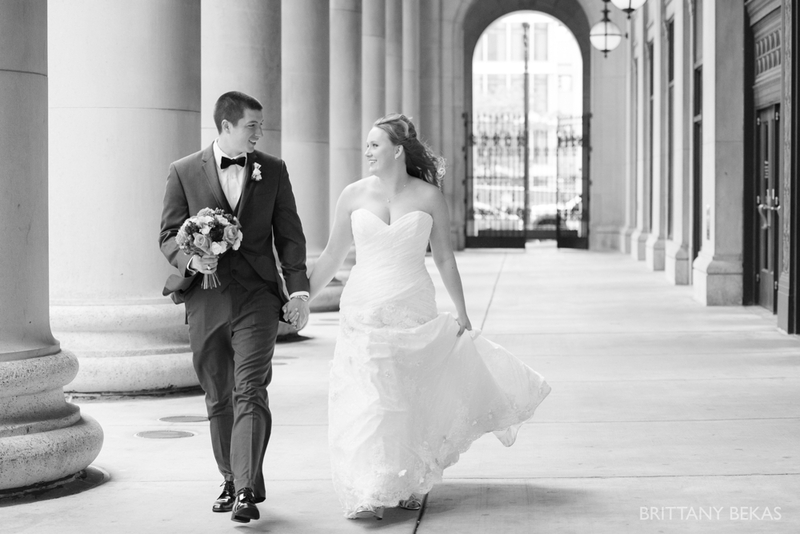 As rain poured down on the sidewalks of the West Loop, friends carried Kristin’s dress and made sure she was tucked safely underneath the umbrella. 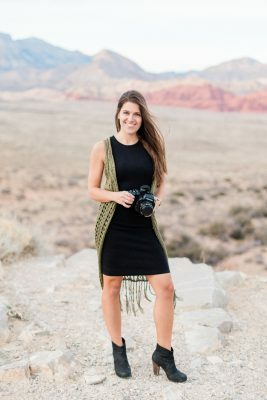 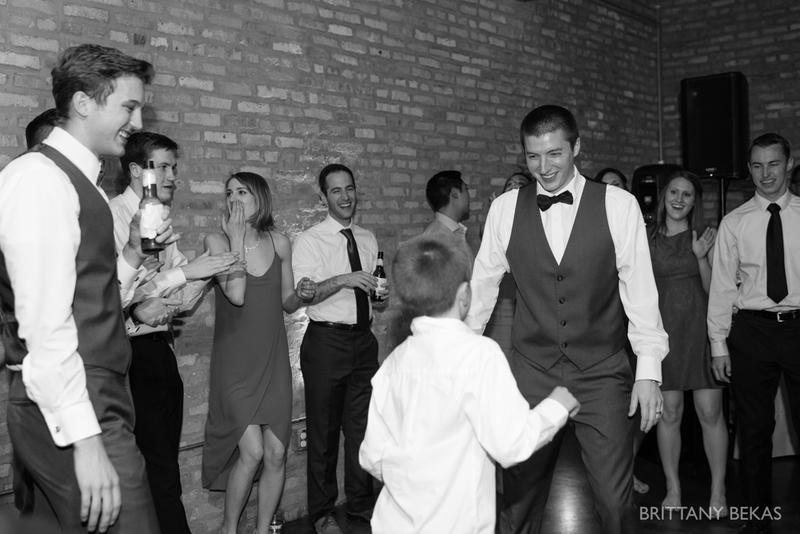 The May weather was cold, wet, and windy, but Kristin beamed in the limo as she snuck little glances at Nick, who was blindfolded a few feet away. 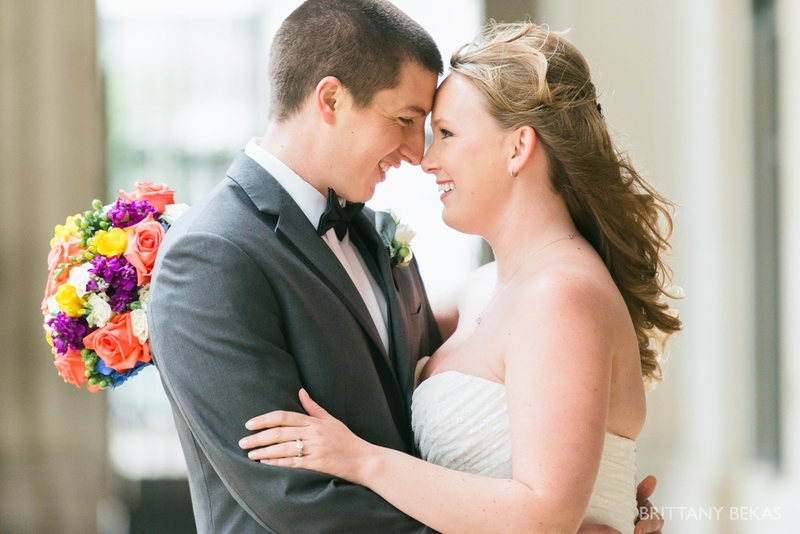 When Kristin and Nick embraced for the first time on their wedding day, their smiles were so bright and excluded so much happiness. 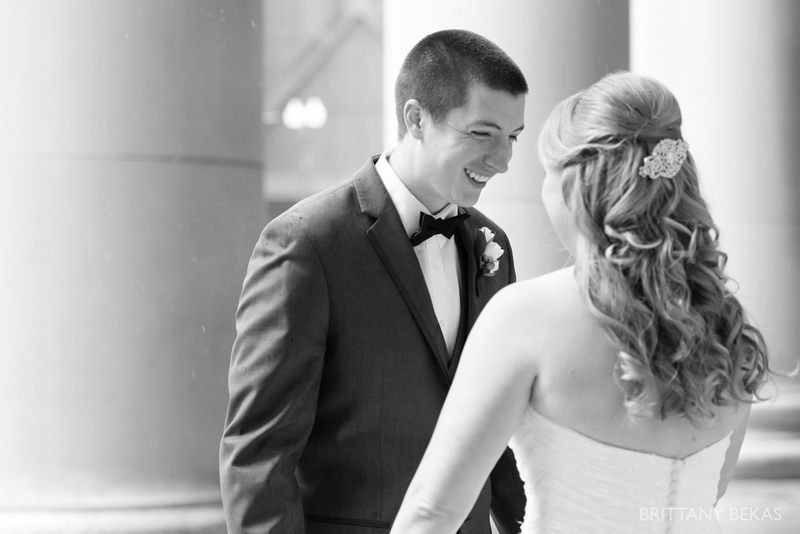 Together, they laughed, hugged and agreed that nothing, not even the weather, would bring down their best day ever. 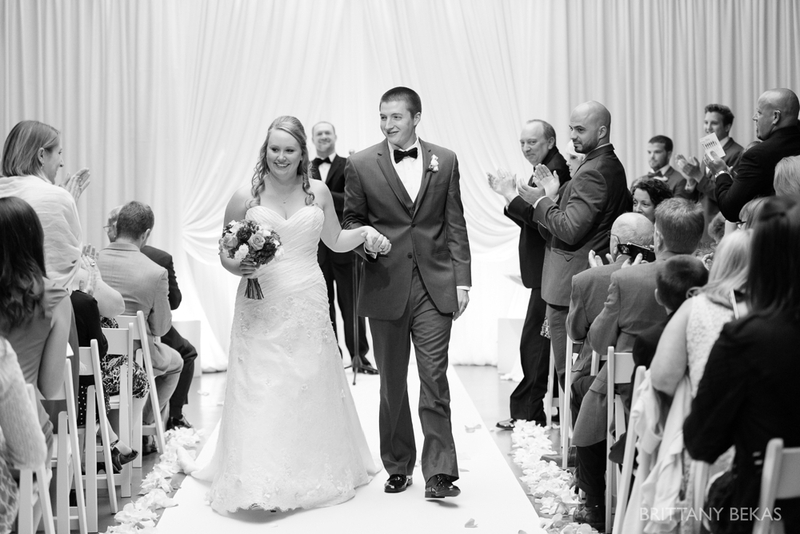 Kristin and Nick promised to love each other unconditionally, no matter what life brings their way at Loft on Lake. 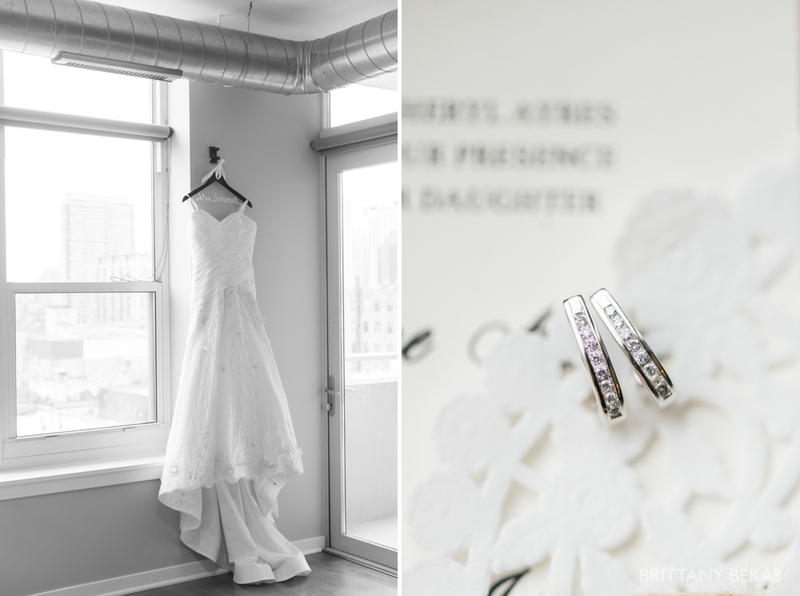 The room exploded with love for Kristin and Nick as family and friends shared stories of how the bride and groom are selfless, kind and loving … not only to each other but to everyone in their lives. 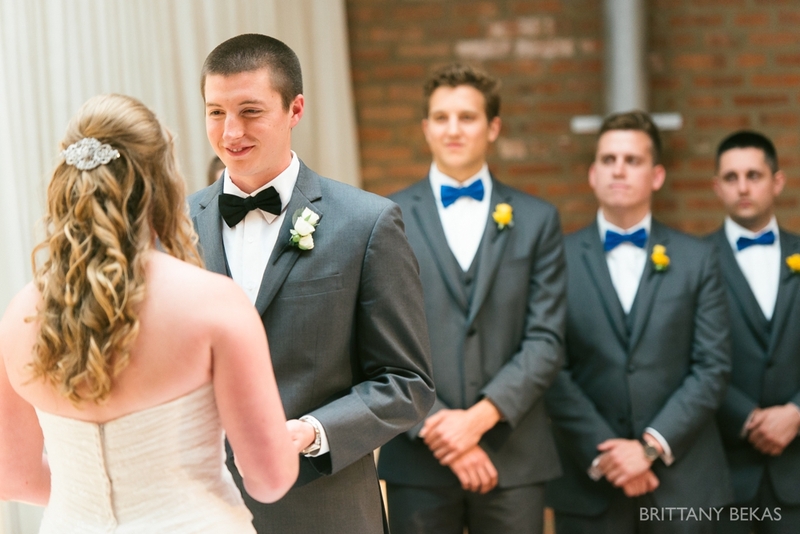 Guests celebrated their love and clinked their glasses all evening just so they could witness another kiss from the new Mr. and Mrs.
All of Kristin’s beautiful wedding day jewelry including her rings, necklace and earrings are from Nick’s family’s jewelry store, Berco. 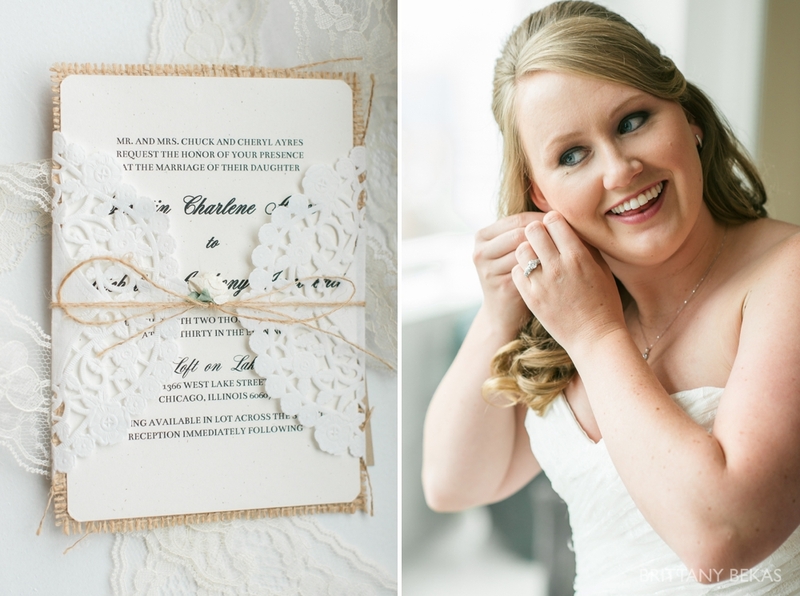 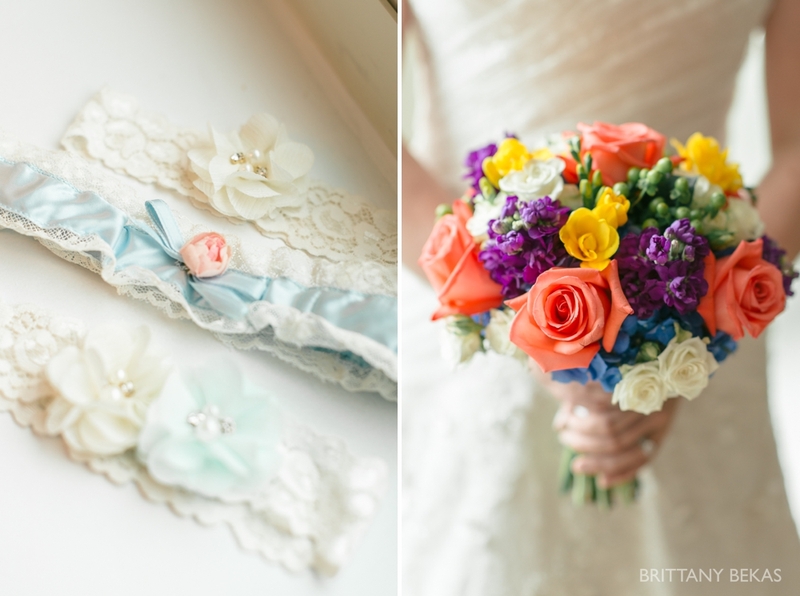 Kristin’s something old, borrowed, and blue was her grandmother’s beautiful vintage garter. 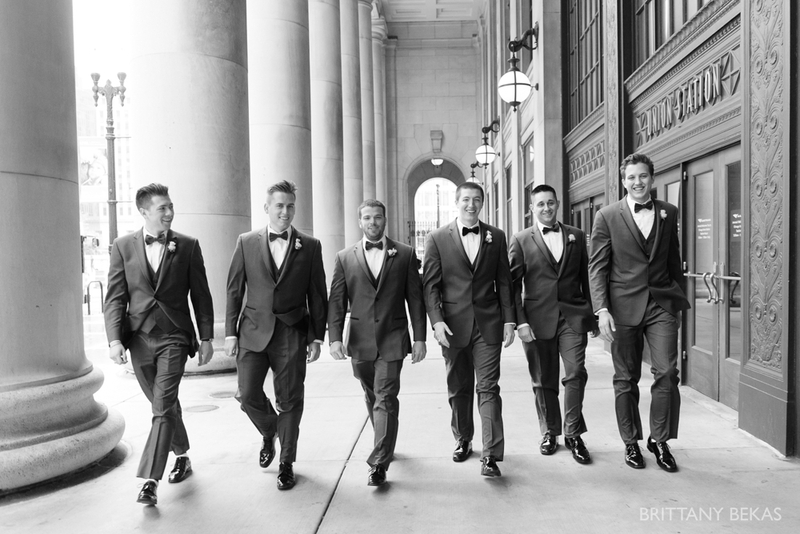 While I was photographing Kristin and the girls, Nicole was down the block documenting Nick and his groomsmen. 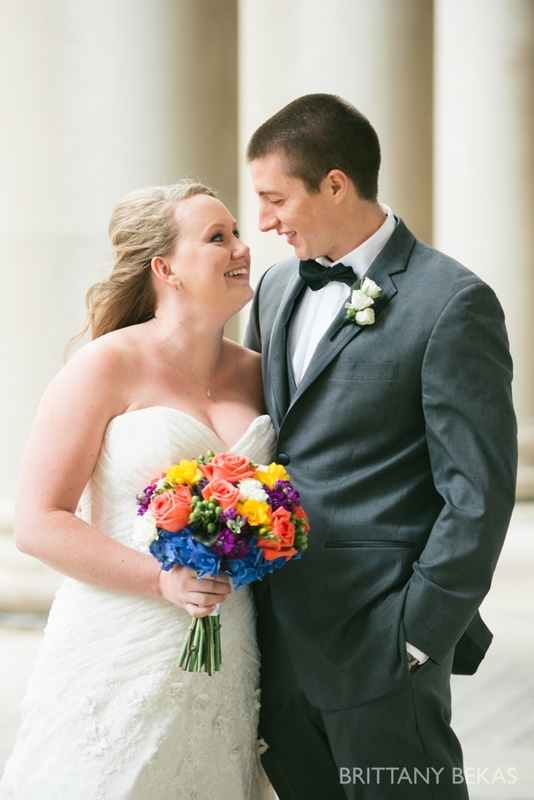 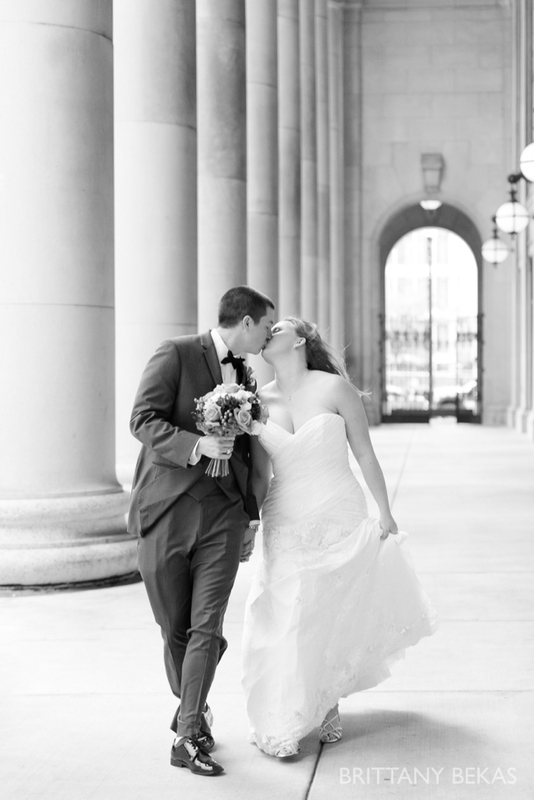 Nick and Kristin opted to have a first look at Union Station, and Nick’s reaction to seeing Kristin for the first time on their wedding day was simply perfect. 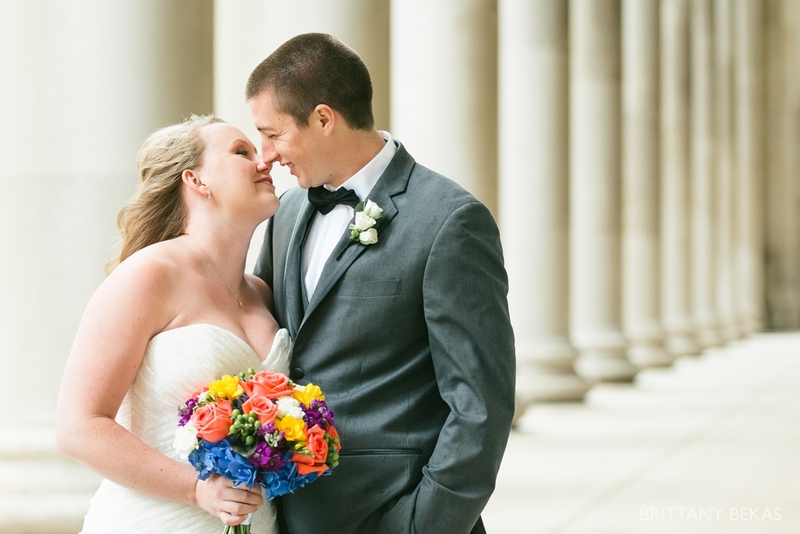 The Chicago weather was cold, rainy AND windy but that didn’t bring down Kristin and Nick. 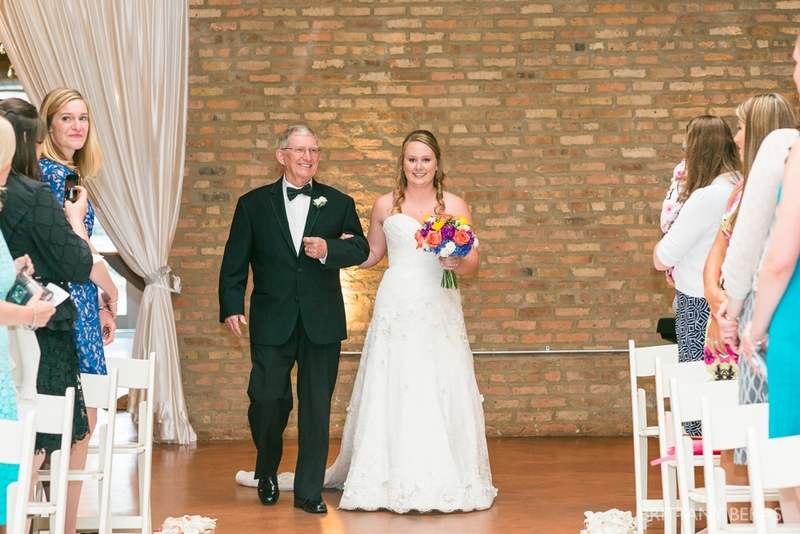 This was their day, and they were all smiles. 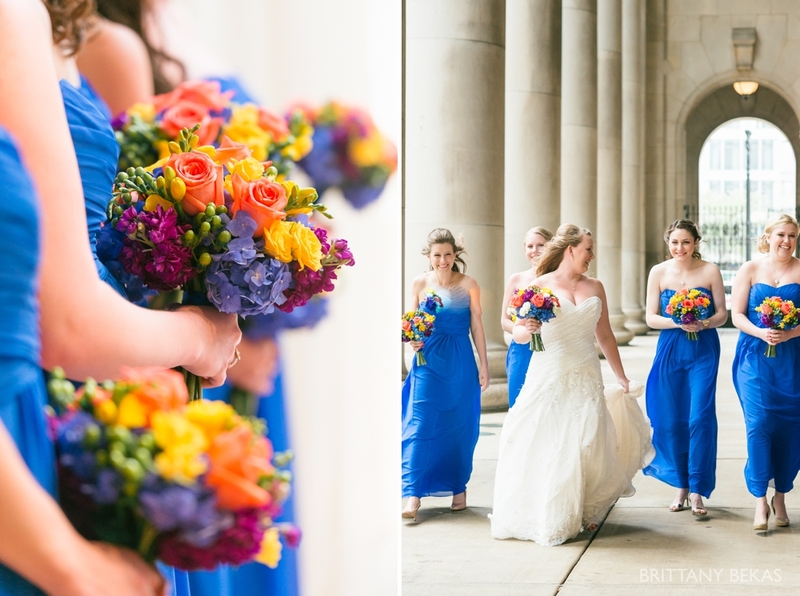 Kristin’s bridesmaids were so much fun, and they rocked out their photos despite the cold and wind. 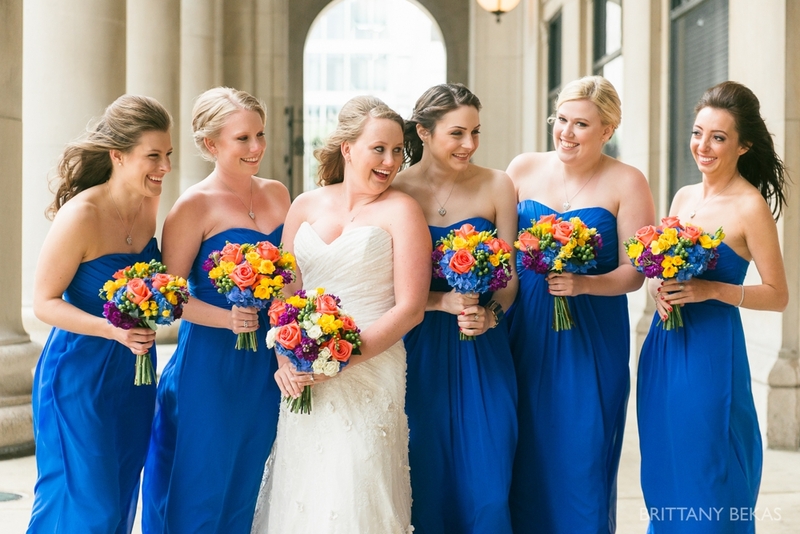 Steve’s Flower Market designed all of the flowers including the lovely bridesmaids bouquets. 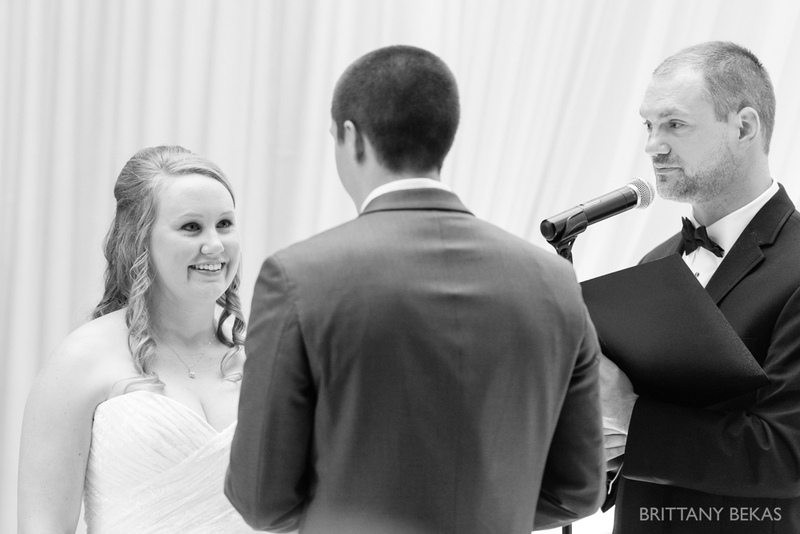 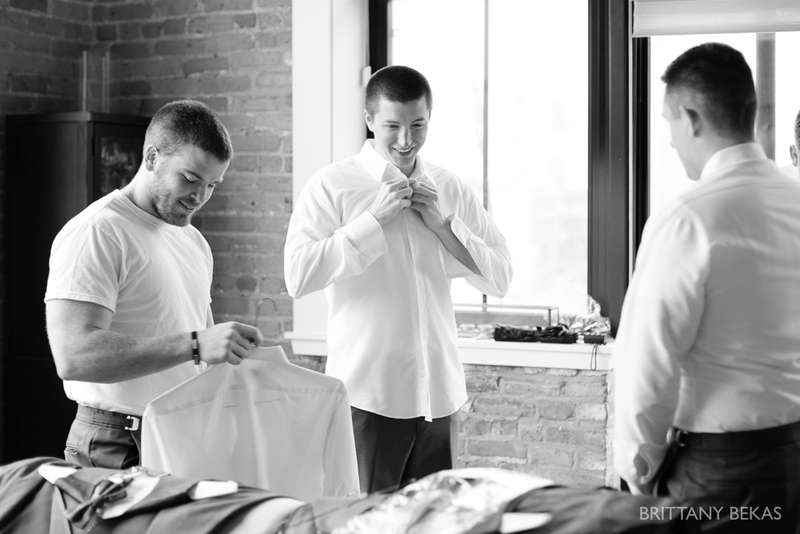 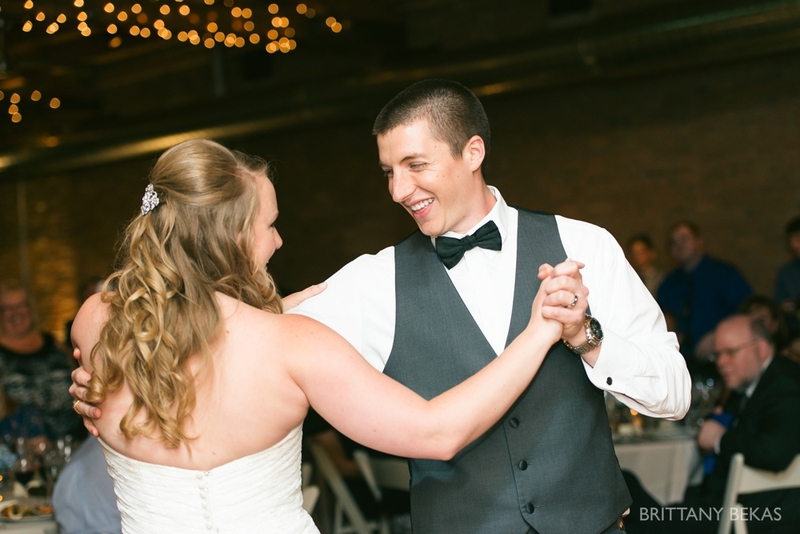 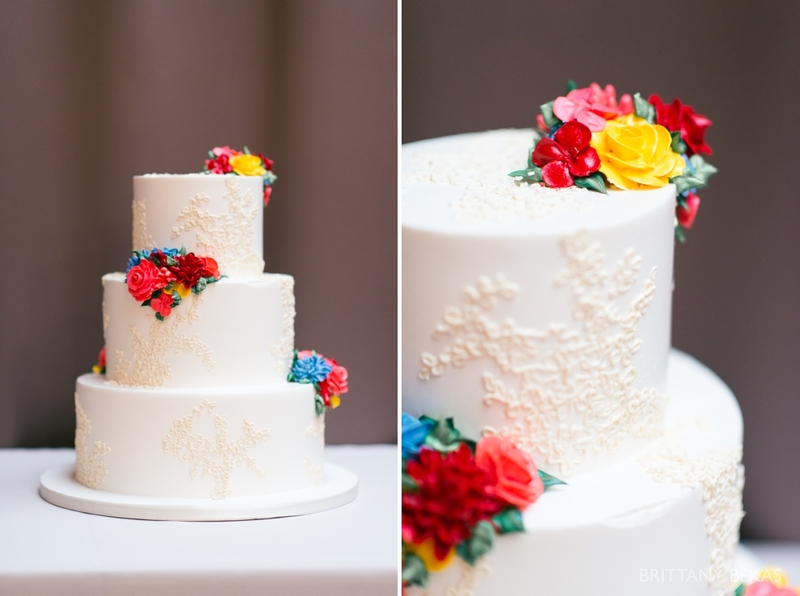 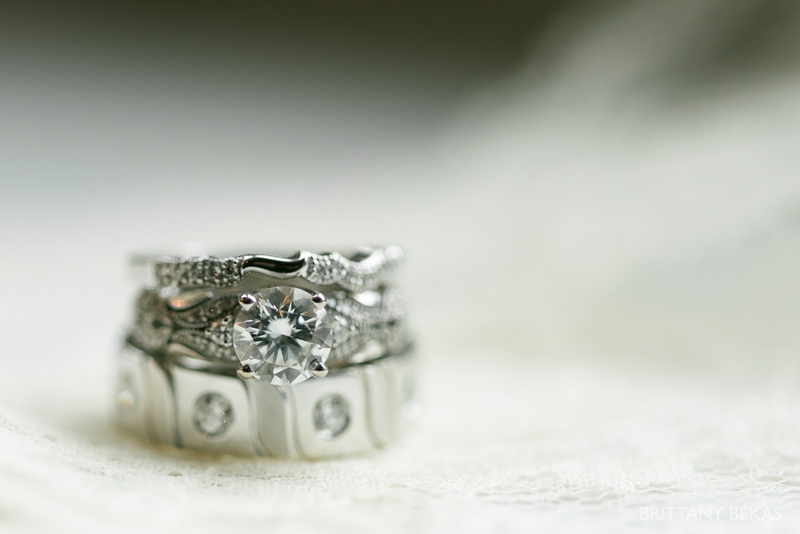 Kristin and Nick promised their love to one another in front of their closest friends and family at Loft on Lake. 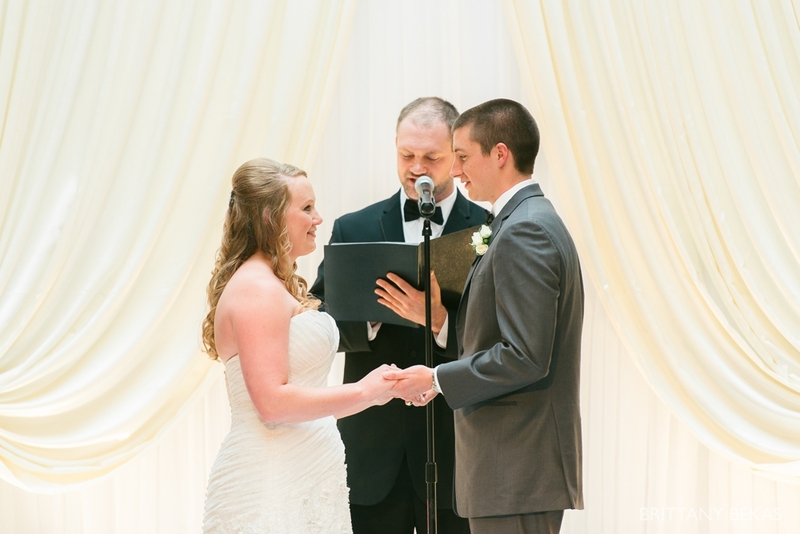 For the first time ever, Mr. and Mrs. Innocenti! 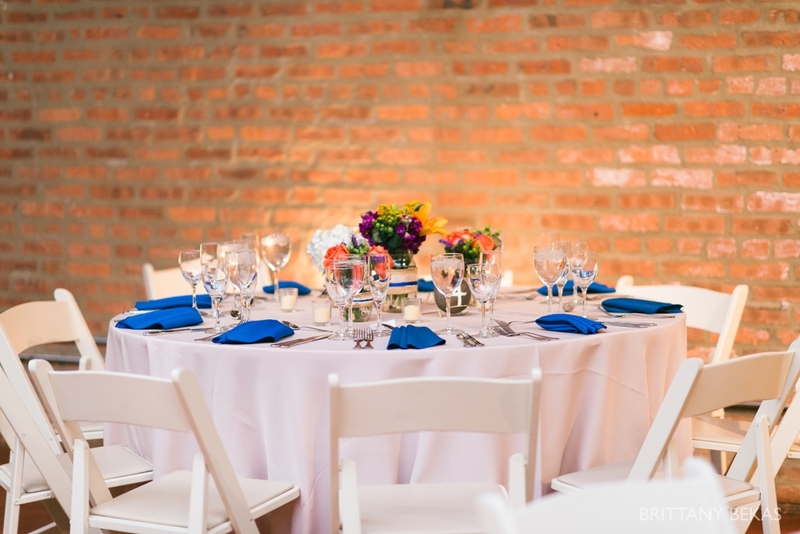 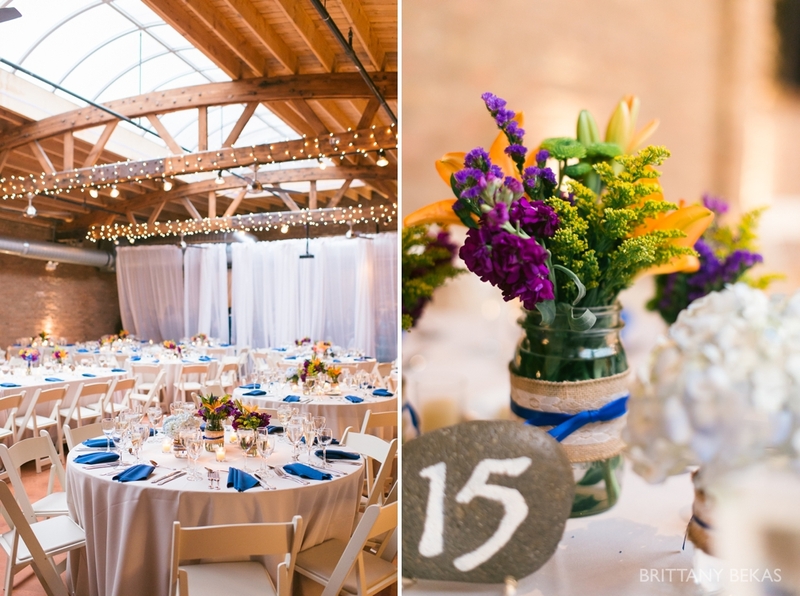 The team at Loft on Lake transformed the ceremony site into a beautiful reception. 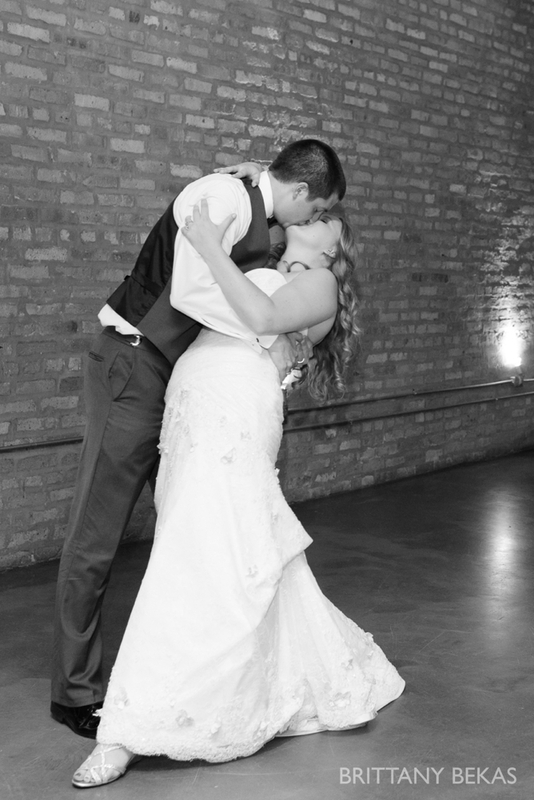 The first dance was a perfectly choreographed dance ending with a beautiful dip and a kiss. 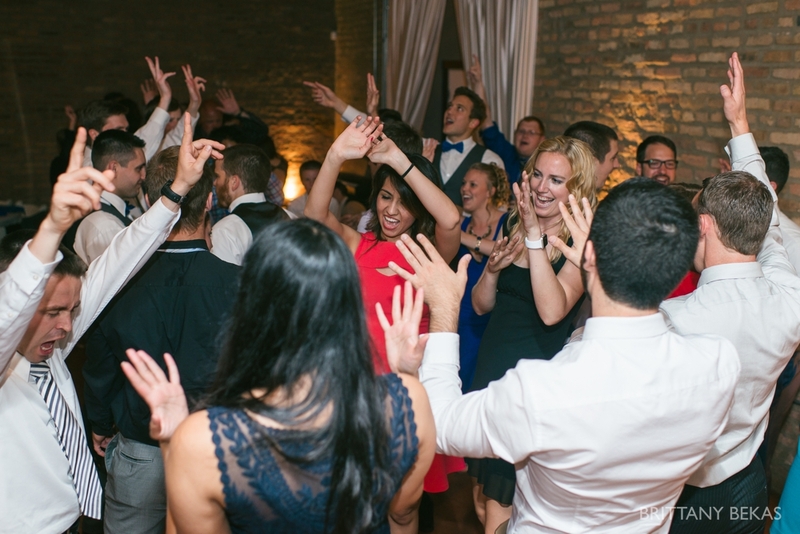 Thanks to DJ Justin Harris, guests danced all night long. 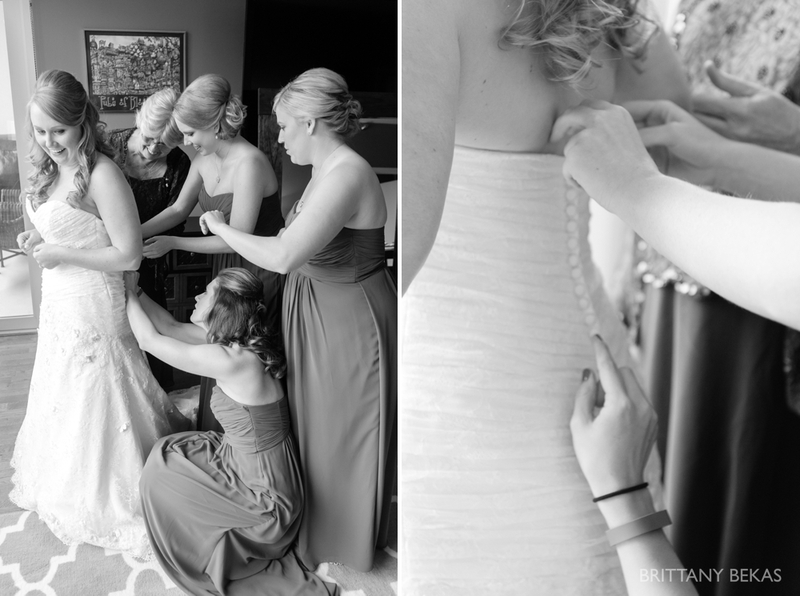 A special thanks to Rachel, Kristin’s amazing friend, who kept the day moving from start to finish!